Without a doubt, push ups are one of the most known, widely practiced and equally demanding body-weight exercises that require supporting the mass of the body on the feet and the hands, while continuing to lever up and down. And this is not for the wimpy or chickenhearted. Aside the regular push up and the more popular wide grip push up (derived from the widespread of the arms while resting on the ground) there’s another more difficult and extreme push up that can rightly be regarded as the 21st Century Test for Strength (or perhaps, manliness). In fact, the American Council of Exercise rates this push up as the most extreme body-weight exercise that builds up the TRICEPS the MOST. Without further ado, enter the Diamond Push Up. But wait, don’t be misled by the name. Nobody gives you a diamond if you can crank out a certain number of diamond push ups, rather the name is derived from the shape formed by the hands when they are joined together while carrying out the diamond push up. 1.What Are diamond Push Ups? The diamond push up is an advanced variation to the wide grip push up, requiring any individual doing it to put both hands together to form a diamond shape, hence the name. Right here on this write-up, we will explain what exactly the diamond push up is, as I feel it’s necessary to take time and strip it down to its essence, cut through all the hype that has been created around the diamond push up, and explaining what it’s not. 2. Is The Diamond Push Up Good For Me? One man’s meat is another man’s poison, the proverb goes. Whoever crafted that quote must really be something because that’s one of the most relevant quotes in the field of athletics and bodybuilding. While all humans are primarily made up of the same flesh and bone, it is necessary to understand your body before you delve into any particular exercise. 1.How Long Have You Been Doing Normal Push Ups? Regular push ups are the stepping stone to diamond push ups. They tone your muscles and develop your endurance for the deeper waters. No doubt, if you try to jump into doing diamond push ups from day one, you won’t make much progress, and will only succeed in crushing your tender enthusiasm. For maximum results, start off with regular push ups for a few months, and once you have that at your fingertips, diamonds shouldn’t be a nightmare to you. 2. Do You Encounter Extreme Muscular Pain Whenever You Try Out Diamond Push Ups? It goes without saying that most really productive workout sessions end with pains in your muscles (no pain, no gain eh). But even at that, there’s a measure of pain that’s acceptable which if you notice anything beyond that, it may be a sign that you need to see a doctor. 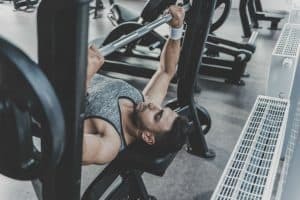 Many individuals may have particular muscular conditions that may restrict them from taking part in such extreme workouts except they’ve been medicated and cleared by a doctor. Point: If you ever notice any out-of-the-world pain after a diamond push up session, that may be a sign that you should back up and see your doctor right away. 3. How Exactly Is The Diamond Push Up Done? The diamond push up is very much similar to the standard and wide grip push ups, while being equally different from them. The most significant attribute of the diamond push up that makes it most demanding on the body is the angle at which the hands are placed on the ground, as opposed to the widespread and regular push ups. Below you will find a short, easy to follow guide that will get you doing your diamond push ups better than you’d been previously doing. 1.Take the customary push up stance for standard and wide grip push ups: lay low, stretch out the body and maintain a straight line from the torso down to the feet. 2.As in a regular push up, your hands should be resting on the ground, projected by your arms from beside you. Bring your arms closer so that the forefingers and thumbs of each of your hands can touch themselves. 3.Lower your chest to the same level as your hands as slowly as possible, and once you’re low, stretch back up quickly. 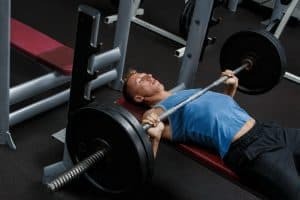 This emphasis placed on lowering your bodyweight and retracting slowly is merely to make your chest and shoulder muscles bear the weight of the body and to grow after healing from the strain of the extra weight. 1.Keep your body disciplined. No matter how hard the temptation comes to spread your hands even slightly, you have to avoid that. Instead, you can get up once you’re tired and try out another exercise that will help build your strength over time. If you don’t stay on it, and you put your hands apart while you’re doing diamond push ups, you might as well be shortchanging yourself. Granted, you will still experience muscular growth, but it will take awfully longer and harder. 2. Remember the descent and rise speed adjustment for maximum muscle-tasking. Take it slow while descending so your muscles can bear all of that weight; rise with as much speed as you can muster to double the work your muscles did previously. 3. Whenever you’re at the end of every repetition, and you’re about to drop down yet again, keep your arms extended. Don’t form any side cushion by bulging your elbows by the side. This will force your body to go lower and lower to the ground, requiring more energy for you to rise every single time. 4. Like we said earlier, ensure that from head to toe, your body is kept in a straight line. The easiest person to deceive is most often yourself. You can go ahead to take a less profitable position while doing diamond push ups, but it won’t be of much profit to you in the end. It is, therefore, more reasonable to put in the most effort so you can get it right from the start. 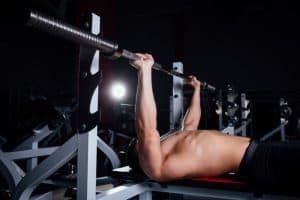 If you take to these rules a seriously as possible, you will be miles ahead of many bodybuilders who either don’t know some of these critical rules of pushing up, or know them but couldn’t care less. Don’t be “that guy.” A horse can be carried to the stream to get a drink; it can never be forced to. We’ve done well enough to show you how to get the best out of your diamond push up workout schedule. It’s now up to you to actually DO IT! 4. What Exactly Are The Benefits Of The Diamond Push Up? For an exercise so tasking, you can be sure there are some red-hot benefits to be derived from doing the diamond push up, or else, people wouldn’t bother putting in the effort required for this extreme exercise. Doing the diamond push up is a sign that you’re at last taking your bodybuilding routine more severe and if you keep at it, there’s no telling how far you will go – who knows, you might eventually become Mr. Atlas, Mr, Universe, or something else. I have highlighted the benefits you stand to gain from the beginning and continuing your diamond push up routine. Check them out. 1.Diamond Push Ups Build Up Your Muscles To Advance To One Arm Push Ups. Now, yes. We all know how hard it is for a newbie to lift up over 150 lbs of their own weight with just the support coming from their arms and feet. Tough job, you will agree with me. And after, you’ve pushed up and down for a few reps, you sink to the floor, breathing heavily and looking red all over. 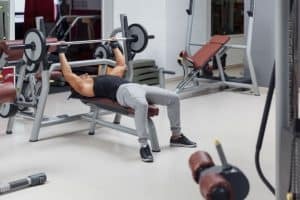 And then, at the other end of the gym, you sight a hunk, with his entire body resting on just one arm as he pushes up and down with precision. It’s hard not to admire this guy. But if anyone will tell you the truth, no one ever started off doing any extreme exercise from day one. Just like a baby’s growth, you have to start little and grow from there. And once you have mastered the standard push up and you’re looking for new grounds to conquer, diamond push ups will put more pressure on your chest and arms and will help you transition from a two-hander to a rugged one-hander. Who knows, soon you may be that hot guy who everyone admires silently at the gym. 2. Diamond Push Ups Supercharge Your Triceps Faster. Have you been trying to grow your triceps as fast as possible but have continually seen unsatisfactory growth in your muscle mass? It could be a sign you’re trying to kill a cat by thumping it with blunt objects. How about adding to your schedule an exercise that is officially considered the very best for triceps activation? 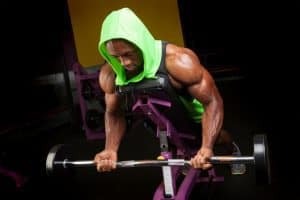 Like we stated earlier, the American Council of Exercise, after conducting series of experiments has announced that diamond push ups are the best way to grow the triceps, rating ahead of more “rugged” exercises, such as the dips and triceps kickbacks. This is just because the central position the hands take during a diamond push up workout schedule transfers more of the body weight on the triceps, and with each descent and rise you make, your triceps grow stronger – slowly but surely. 3. Diamond Push Ups Require Greater Balance and Build Up the Core. When doing wide grip or just regular push ups, you get to spread out your hands and balance your bodyweight with little effort. Not so with diamond push ups. With your hands centered, you depend less on the spread of your arms and require more of your own energy to stay balanced till the end of your workout. While you’re at it, you’re developing an improved balance all the way, and at the same time, putting your core through more work. This makes the diamond push up an excellent means of improving the texture of your torso. 4. Diamond Push Ups Contribute To Stronger Shoulders. The use of the shoulders are fundamental to push ups, but diamond push ups, because of the more difficult angle at which the hands are placed take that a step further. They exert extra pressure on the shoulder joints, which contribute to increased shoulder strength over a shorter period than can be realized with some other exercises. 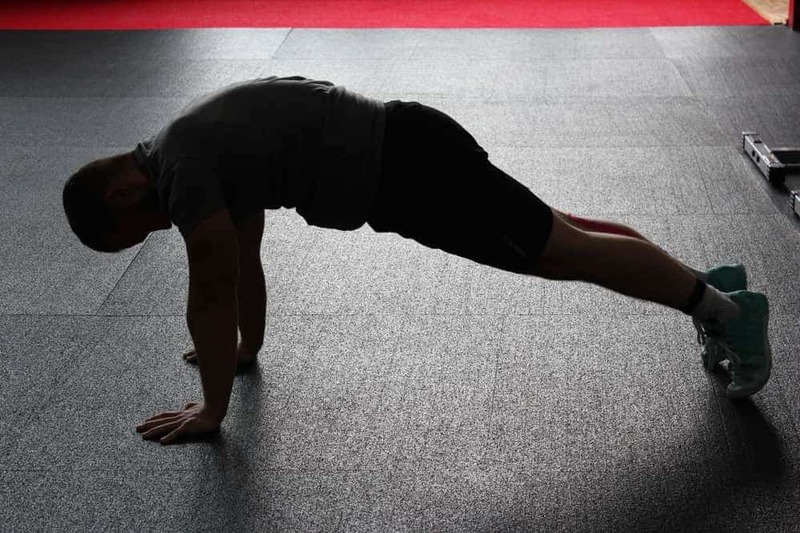 Now, I have given you some of the best tips about push ups – the do’s, don’ts, and the improvements that will make your push up routine more rewarding and survivable. We’ve gone through a whole lot of reasons why you should start in the first place (in case you’re just browsing), as well as why you should continue if you’re already aboard with us. Now, we want to hear from you. How specifically has added push ups to your workout schedule helped improve your life? 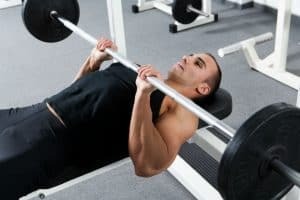 What tips are you using to get improved workout sessions that the average Joe doesn’t know about? How long can you survive a session, and how many repetitions can you crank out before you’re totally exhausted? Can you show us your “before” and “after” pictures that show off what push ups have turned you into? Let us know about your story, and we’ll be glad to show you to our entire gym tribe. And you? Just keep working out that good bod’ till we talk again!